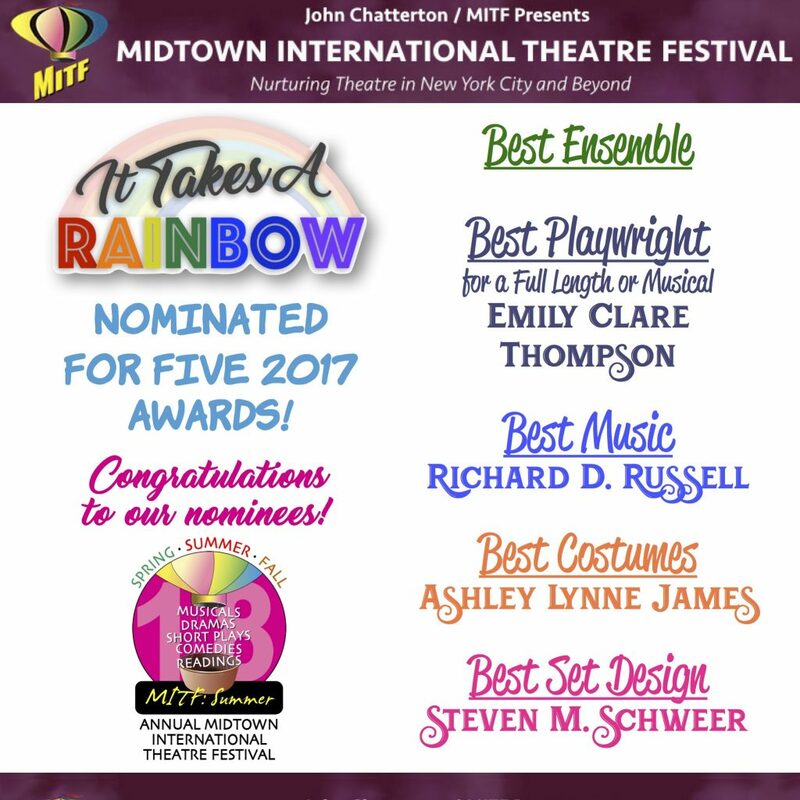 Presented at the Summer 2017 Midtown International Theatre Festival in New York, It Takes A Rainbow earned 5 nominations for their annual awards! 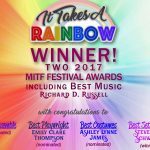 Huffington Post called It Takes A Rainbow “…a remarkable musical.” A leading theater blog, Broadwayworld.com called Emily and Richard, “… one of the leading teams of writers of theatre for young audiences.” The critic of another theater blog, Outer-Stage, wrote, “I personally couldn’t take my eyes off of it. 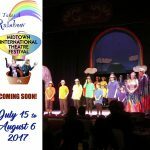 I loved every second.” Lastly, the Festival itself, called the show “a box office home-run.” The show sold out the 3 performance run. 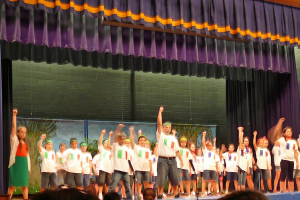 See the critical reaction to all Thompson and Russell shows here on the website.